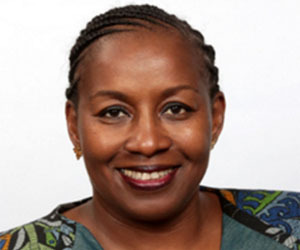 AfDB Special Envoy on Gender and Vice-President, Geraldine Fraser Moleketi was named "2016 New African Woman of the Year", an award made by London-based magazine New African. 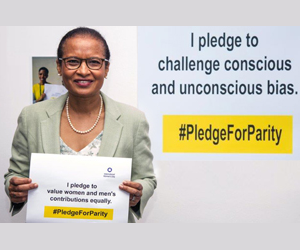 This pan-African magazine intends to mark out the most influential women of the continent, paying tribute to all those who are changing the game in Africa - and beyond.Geraldine Fraser-Moleketi has, thus, received her distinction for the exemplary fight she has been conducting for many years for the gender equality and empowerment of African women. 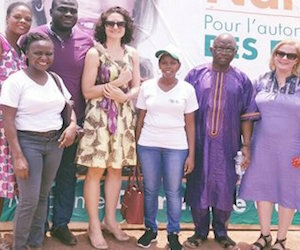 Mrs Fraser-Moleketi was unable to attend the awards but was represented by one of the members of her team, who said that she was keen to "dedicate it to young women and young men carving out their African future – and specifically to the AfDB, her team and her family. In her own words, 'as women we must become audacious…exude in the audacity of audaciousness!' She continued, "I am deeply humbled by this award and would like to dedicate it to building an Africa where young women and men do not lose their lives trying to escape poverty. An Africa where young girls and boys are excelling in maths, science, technology and they explore the languages, literature, arts and culture. An Africa where no woman dies in child birth. An Africa where no woman questions her legal status. An Africa where no girl is forced into child marriage because Africa allows her to just be herself. As a proud African I am working towards an Africa where African women participate fully in decision-making. An Africa in which we are shaping the African inclusive growth story". 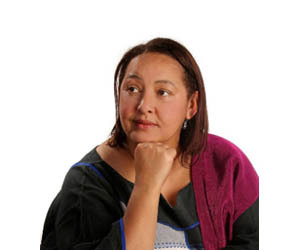 Geraldine Frazer-Moleketi joined AfDB in 2013 having formerly been director of the UNDP Democratic Governance Programme and a board member of the United Nations Institute for Training and Research, nominated by the UN Secretary-General. Historically an activist in the ANC, she held several ministerial posts following the first democratic elections in South Africa.